July saw a few days of sunny summer weather, so we made the best of it. We enjoyed a warm Canada Day at the Gorge Family Fun day. We had a family reunion at Beckwith Park, where Liam snoozed under a tree and Caleb learned to play baseball. Liam has been rocking his little booty, and loves to dance and get his groove on. There were trips to the park and petting zoo. Caleb started Sportball Soccer camp and the Summer Reading Club at the Library. 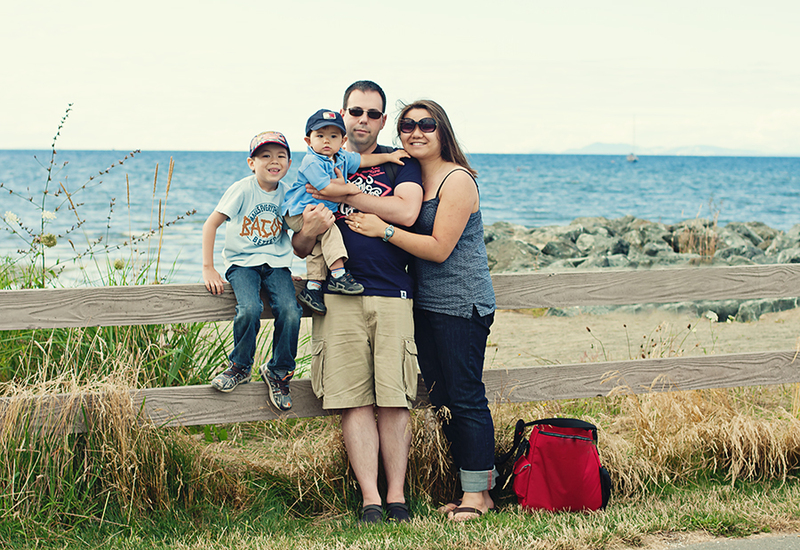 We spent a day in Parksville, at the sandcastle competition and at the beach. We celebrated our 8th wedding anniversary, and spent the night doing a family photo session with Blue Lily. It was a busy, but fun month! This entry was posted in Adam, Ally, Caleb, Liam, Little Bean, Squishy, The Ells and tagged 4 people, Adam, ally, caleb, July, Liam, photo. Bookmark the permalink.